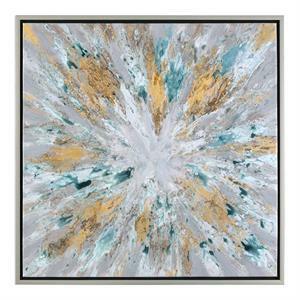 This artwork will add the WOW factor to any wall with its rich burst of colors. 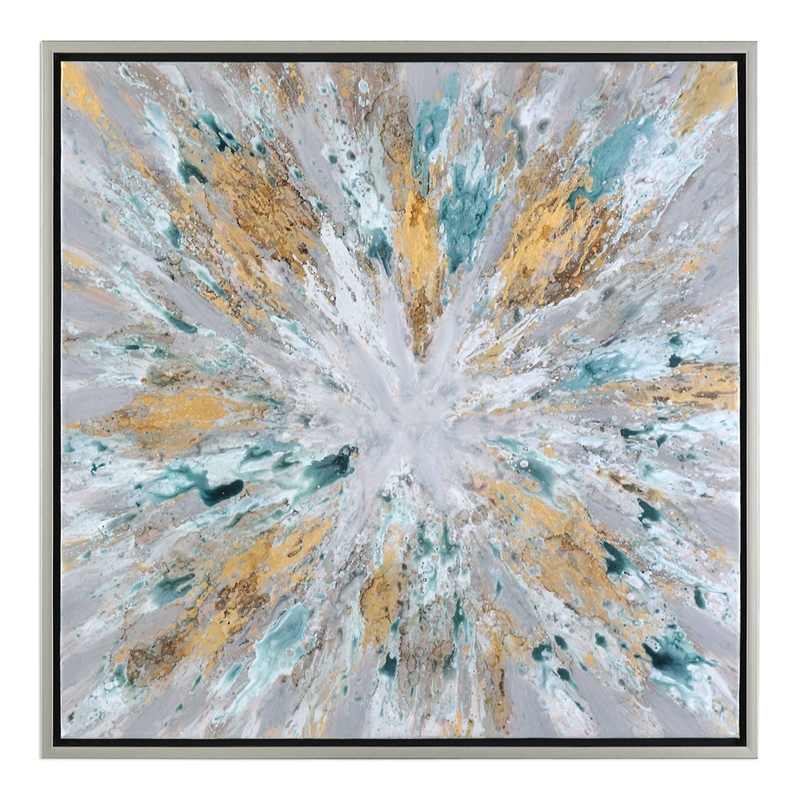 The artwork is hand painted on canvas, then stretched on wooden stretchers and framed by a thin silver leaf frame. Due to the hand crafted nature of this artwork, each piece may have subtle differences.